This photograph by Austin Curtis is of Morgan Curtis’s hand, freshly tattooed with the level of CO2 in the atmosphere when she was born (1991). Morgan writes: “For me, climate change is everything these numbers are not. While there is direct causality between parts per million, climate disruption and human suffering, it’s not the numbers that capture my heart. 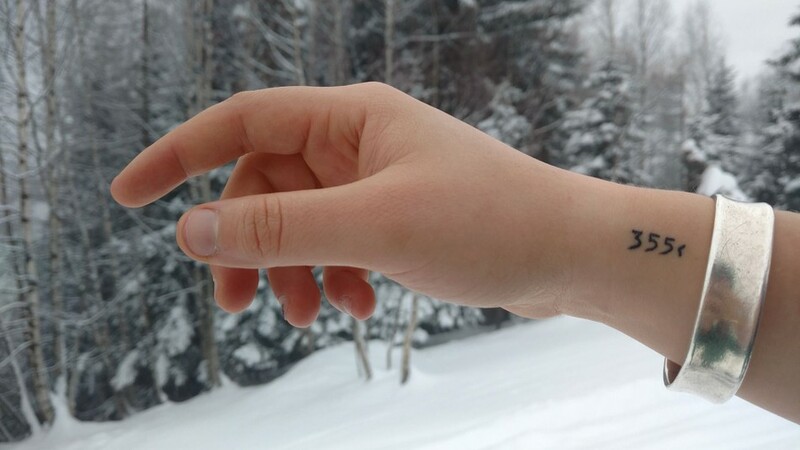 The < symbol on my wrist is a reminder: Data informs, but stories awaken." Morgan's essay is a beautiful and heart-felt description of what climate change feels like, the pain of the wounds it is creating, like the pain of the needle piercing her skin. Read her full essay at Mashable.